On occasion, these users run into trouble by using content to which they don’t own the copyrights, such as a music track or similar. While these complaints can often be dealt with quickly and relatively amicably using YouTube’s Content ID system, allegedly-infringing users can also get a so-called ‘strike’ against their account. Get three of these and a carefully maintained channel, with countless hours of work behind it, can be rendered dead by YouTube. As reported on many occasions, this system is open to all kinds of abuse but a situation highlighted by a YouTuber called ‘ObbyRaidz’ takes things to a horrible new level. 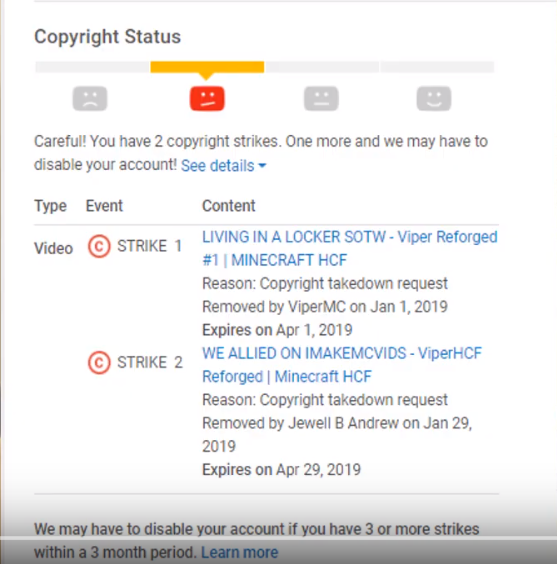 The YouTuber, who concentrates on Minecraft-related videos, reports that he’s received two bogus strikes on his account. While this is nothing new, it appears the strikes were deliberately malicious with longer-term plan to extort money from him. The alleged scammer contacted ObbyRaidz, who lives in Texas, via Twitter. He or she warned the YouTuber that unless he paid a sum via PayPal or bitcoin, another complaint and therefore a third strike would be added to his account. “Hi Obby, We striked you,” the message from ‘VengefulFlame‘ begins. “Our request is $150 PayPal or $75 btc (Bitcoin). You may send the money via goods/services if you do not think we will cancel or hold up our end of the deal. The YouTuber was then granted “a very short amount of time” to make his decision whether to pay the amount or potentially lose his channel. While people should be protected from this kind of abuse, both from a copyright perspective and the crime of extortion, ObbyRaidz says he’s had zero luck in getting assistance from YouTube. 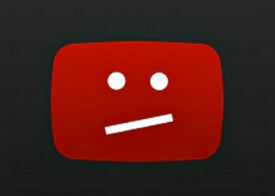 “It’s very unfortunate and YouTube has not done very much for me. I can’t get in contact with them. One of the appeals got denied,” he explains. While ObbyRaidz has a pretty small reach at the moment with 5.2K subscribers, this attempt to extort him will likely backfire – in his favor. Once the story begins to circulate, it’s more than likely YouTube will review his account and put it back in good standing. And, if it hasn’t been done already, a criminal process should be initiated to deal with what is clearly an attempt at extortion. While false strikes are a clear abuse of process, extortion is an extremely serious crime and should be treated as such. Meanwhile, ObbyRaidz should enjoy a nice boost in subscribers from the exposure, so the future won’t be totally miserable.